And should GMF's be labeled? Scientists artificially and genetically manipulate a living organism's DNA by the process of genetic engineering. This creates new plant, animal, bacteria, and viral genes that do not occur in nature. 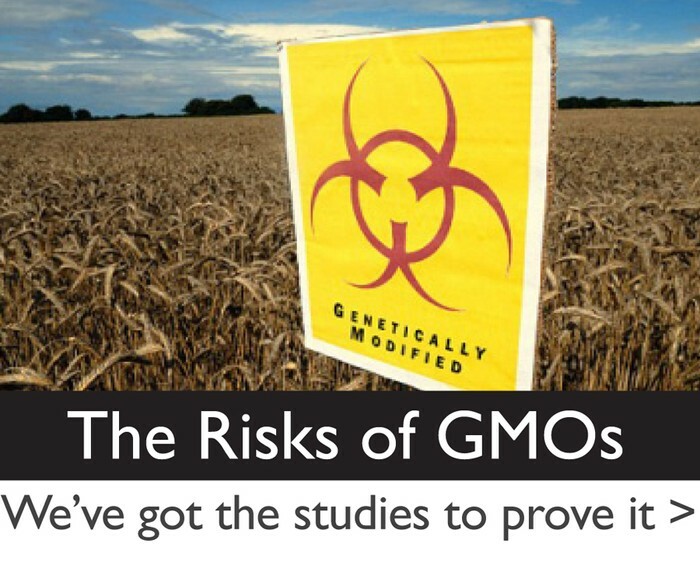 Some agricultural products are at high risk of being genetically modified as they are being sold commercially (ex. : canola, corn, cotton, soy, etc.). Other products are at monitored risk because there may have been incidents of contamination or the crops relatives have been genetically modified (ex. : flax, rice, wheat, etc.). 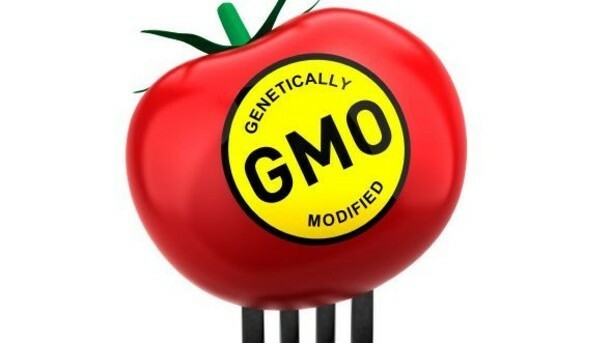 Tomatoes, potatoes, salmon, and pigs are also examples of organisms that are sometimes genetically modified. When we genetically modify food, they can be better resistant to weeds, pests, and other diseases. Therefore, farmers will be able to harvest more food at the end of the season because weeds, pests, and diseases will not interfere with the crops. This leads to better food production, less expensive costs, and more food for 3rd world countries or other places that need food. GMOs also result in less use of herbicides and pesticides on the food, and more efficient use of land for farmers. Foods that are generically modified may also have better nutritional value, better flavor, and they last longer (which helps with shipping and storage). GMFs can create a sustainable way to feed the world. For example, the world (and especially the U.S.) relies heavily on corn. Corn cannot reproduce without humans, it requires many nutrients, and it is highly susceptible to many pests and diseases. However, when scientists generically modify corn, the corn will be able to be resistant to these pests and diseases, and be able to grow in order to harvest it. GMOs can be unhealthy to humans, as stated by the American Academy of Environmental Medicine (AAEM). GMFs can leave material behind inside us, causing many long-term problems. People are also more likely to have a food allergy because it is genetically modified. Since GMFs were introduced, the number of chronic illnesses and other diseases such as autism, digestive problems, etc. rose. For example, milk from cows that are treated with a specific growth hormone may be linked to causes of cancer in humans. GMOs also cross pollute and their seeds can travel, which leads to an endless pollution of plants that are genetically modified. GMOs cause farmers to use more herbicide on their crops because the herbicide will only kill the weeds and not the crops. Side effects from GMOs may rise up at any time and diseases may arise because of GMOs as well. The American government does not pay much attention to and does not care much about GMOs. It is often censored when the media tries to report on a problem with a GMO. GMOs also have a massive impact on the environment because they can harm individual animals or entire ecosystems. Animal's water resources can be polluted and side effects/diseases can arise from the GMOs in animals. GMOs cause some companies to spend their money on genetically modifying their food, rather than spending it on safer and more reliable technologies. "Benefits of GM Food." Genetically Modified Foods. U of California, Santa Cruz, n.d. Web. 9 Mar. 2015. <https://classes.soe.ucsc.edu/cmpe080e/Spring05/projects/gmo/benefits.htm>. Obama Promises to Label GMOs. fooddemocracynow. YouTube, 6 Oct. 2011. Web. 9 Mar. 2015. <https://www.youtube.com/watch?v=zqaaB6NE1TI>. "10 Reasons to Avoid GMOs." GMO Education. Institute for Responsible Technology, n.d. Web. 9 Mar. 2015. 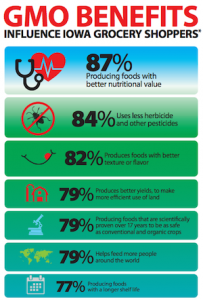 <http://www.responsibletechnology.org/10-Reasons-to-Avoid-GMOs>. "What Is GMO?" GMO Facts. Non-GMO Project, n.d. Web. 9 Mar. 2015. 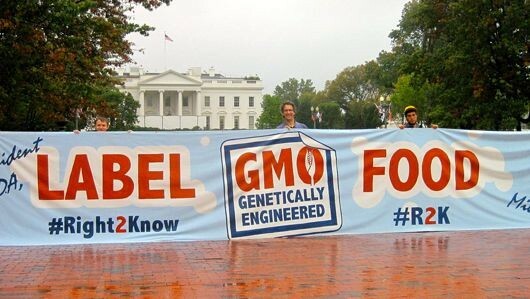 <http://www.nongmoproject.org/learn-more/what-is-gmo/>.